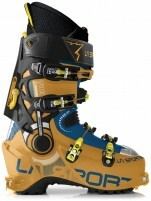 The Maestrale RS is one of the bestselling backcountry ski boots of all time. Generally, the rule of thumb for a time-tested classic is to not modify it much. That is unless you plan on making it lighter, increasing stiffness, and vastly improving the walking characteristics. Then of course it's a change approved by Skimo Co. The Maestrale RS 2.0 is another engineering marvel from SCARPA that borrows technology from the Alien and F1 to increase reliability and decrease transition times. A stiff Grilamid and Carbon frame delivers laser-like precision to steer "narrower" planks on precarious terrain and power bigger skis faster than ever before. A large Velcro power strap increases effective vertical height for extra leverage. One large buckle connected to a wire harness evenly wraps the shell around your foot for an even and secure fit. The new Maestrale is a game-changer for fast-and-light charging in the backcountry. Carbon Grilamid Web Frame lower shell increases stiffness and power transfer. Outdry venting replaces redundant material with ventilation to reduce weight and increase comfort. Axial Alpine Evo Tongue brings heavyweight performance to a sub-1500g boot. Speedlock Plus Ski/Walk mechanism upgrades the Maestrale to the speed and reliability of an Alien or F1. Wave Closure System wraps the lower shell around your foot for a secure and precise fit. Grilamid Evo V-Frame Cuff maximizes power-to-weight ratio. if I take a 27.5 in a TLT6 would that be the same in the maestrale? do you carry the softer version? Hey Jerry! It depends on which version of the TLT6 (Mountain vs. Performance) you were skiing in and how the fit was in that, but with as little info as I know right now, my gut reaction is to probably stick with the 27.5. We discussed long and hard about if we should bring in the Maestrale and the Maestrale RS but decided against bringing in the Maestrale because the downhill performance felt remarkably similar to the F1, which is substantially lighter. 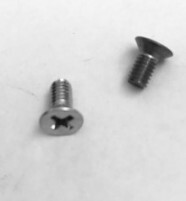 The idea being that if you want a boot as burly as the Maestrale in the first place, then you probably also want the extra stiffness that it brings to the table, but if you don't want/need all of the extra stiffness, then why carry it around when the F1 will accomplish the same task at 150g less per foot? Anyways, sorry for that tangent. If you want to fill out our boot fitter we can talk a little bit more about which size is going to fit you more appropriately. 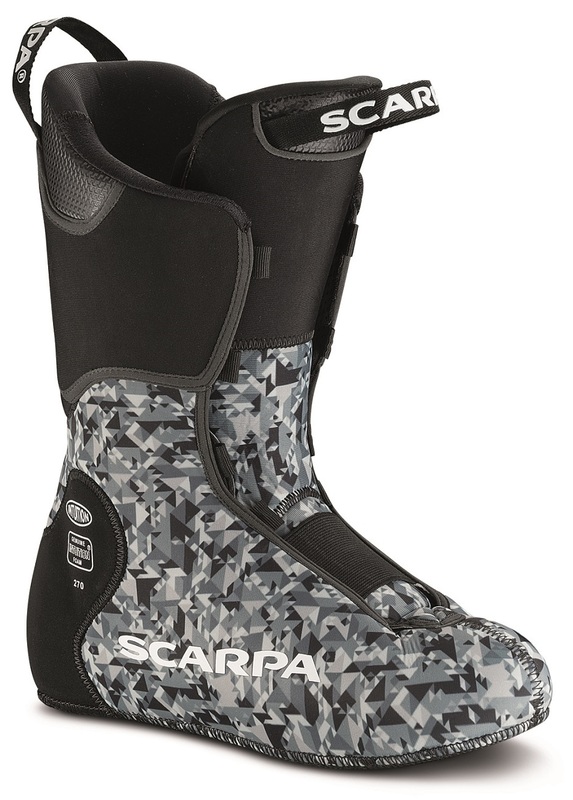 Scarpa shell size 26.5 is the same as 27. What is difference between liners? 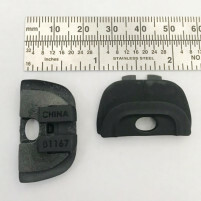 It is just space taker insole or different thickness of the liner? Hi Witold, as far as I can tell from fitting numerous pairs of these boots, the only difference is the number printed on the liner. Materially, I cannot find one. Hi there, I live in Alaska so going to a boot fitter is not an option. 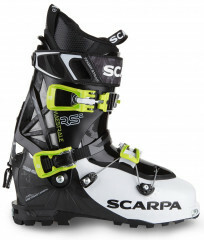 I currently ski a Dalbello Sherpa size 25.5. They have been a great fit for me since I got them 3years ago and I've always loved the heel hold of Dalbellos. The ski mode has developed a bit of play now and they seem to have loosened up in shin. Seems like time for new boots. Thinking of the new Maestrale RS. I'll have to heat the liners myself. How similar do you think the fit and heel hold would be between my Sherpa's and Maestrales? Hey Tim! Why don't you fill out our boot fitter form and our boot fitters will get back to you about the fit! Tough to say exactly as we've never carried Dalbellos so we admittedly don't have a ton of time with them, but the boot fitter gurus seem to have more knowledge than I care to ever desire! Cheers! Is a 29.5 the same as a 29.5 in the old Meastrale? Hi Tim, in our experience fitting this boot the sizing and shape seems to be consistent from the older model to this model. The shell break is certainly the same, so if you wore a 29.5 if the older version I would suggest going with that size in this version. Since my first Dynafit set-up in 1996 I've used just about everything. I've skied this boot for the past couple months in Alaska. Mostly flat touring with only a few days of steeper stuff off the Richardson Hwy north of Valdez. An average day is -15 below zero but I've had the Maestrale RS out on -47 and they did great for about an hour. So far I've logged over 80 miles in the boots, again mostly flat. These boots are the most amazingly comfortable and best touring boots I've ever owned. Walk mode is effortless and they feel super light. Like touring in your fuzzy bunny slippers. But flats and low density pow don't test a boot's performance on challenging terrain. All I've done is low-angle pow and some groomers in Utah before coming up to AK and they skied that very well too. I can't attest to how they'll be in the Ford-Stettner but they lock down so comfortably and feel so good I'm sure they will rock. 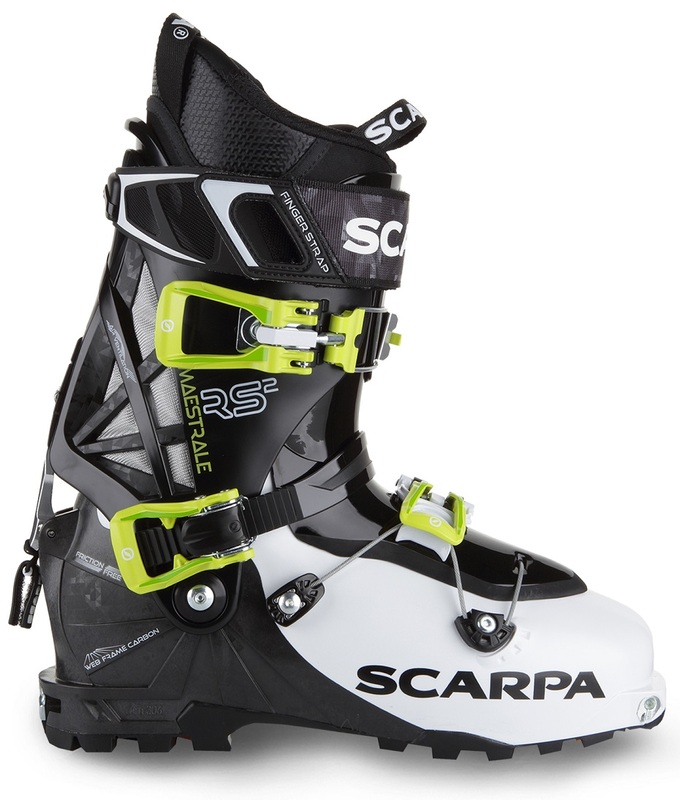 Basically, every day I'm shocked at how refined this boot is compared to the many other boots I've skied. I didn't know a boot could feel this good and work so well. Everything is just about perfect. And they fit better right out of the box than any boot I've had. Hands down the best boot I've owned. Can this new Grilamid LFT shell be punched the same as the old Grilamid? I loved my previous Maestrale RS but had to punch the 6th toes in each side, so will likely need to do the same on this version if I upgrade. Thanks. Hey Michael, indeed it can! 6th toe area should be no problem to punch! Hey, What is the bootsole length on the 31 and the 32 mondo size? I'm trying to figure out my size. Hey Kyle! Thanks for reaching out! We have all of that info hidden under the "Specs" tab! The 30.5/31.0 has a 340mm BSL and the 32.0 has a 348mm BSL! 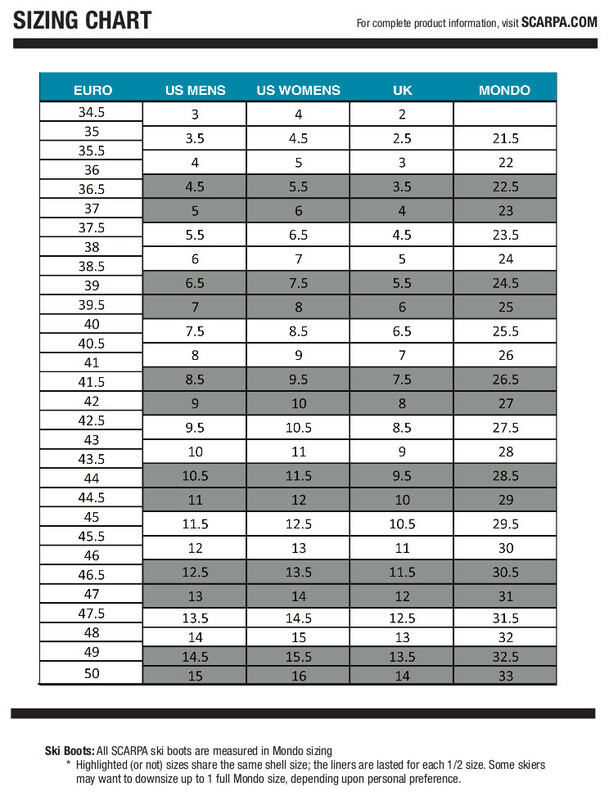 Please note that BSL length isn't necessarily a direct indicator of size as that measurement can fluctuate a lot from boot to boot. 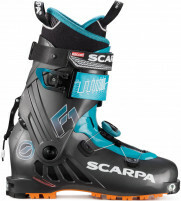 For example, the Scarpa F1 size 30.5/31 is 330mm, the Maestrale RS 2.0 in the same size is 340mm, and a few alpine boots in the same size are nearing 360mm. We do have an Online Boot Fitter that's worth checking out if you're interested in pursuing a new boot. Hello, been using originals since introduction. Has this model corrected icing issue with ski/ walk mode? 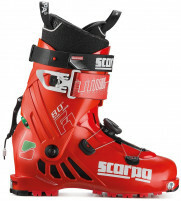 Love the boots, but have skied downhill in walk mode numerous times. Hi Albert, the ski/walk mode mechanism is very different on the 2.0. It's a simple lever that's been proven to work well on the F1 and other boots. Occasionally the lever receptor-bar can fill with snow during a bootpack, but it's easy to clean out if necessary since it's on the outside of the boot (nothing hidden internally as before).